Hills. OMG HILLS. Did I know there’d be hills? No. No I didn’t. 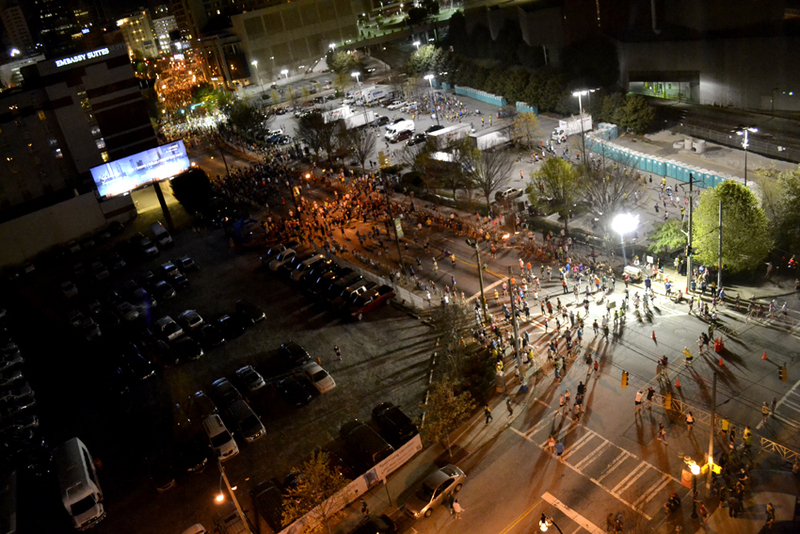 There were more hills on this course than I knew even existed in downtown Atlanta. 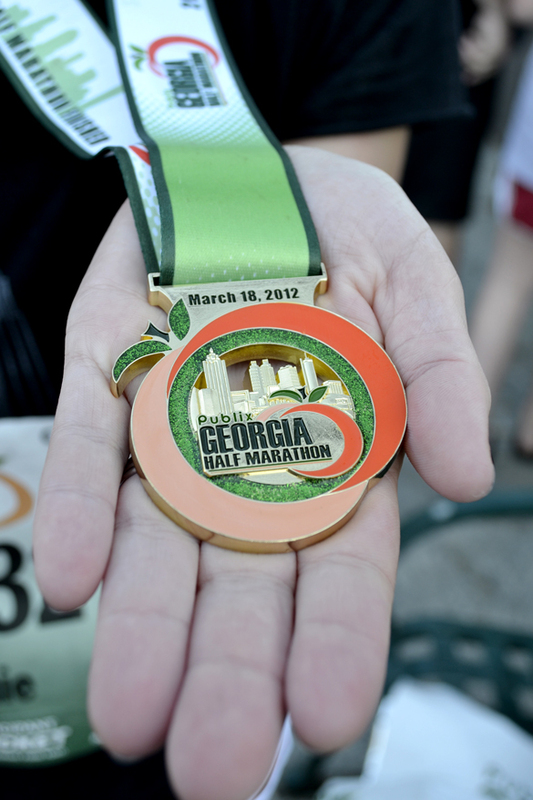 Anyway, now that we’ve covered that part, I’ll tell you that the half marathon was darn near perfect. From training and travel arrangements to race day weather and finish time. I crossed the finish line at 2:22:06, which is six minutes slower than my fastest time (Chattanooga, 2007) but 22 minutes faster than my slowest time (Oklahoma City, 2009). 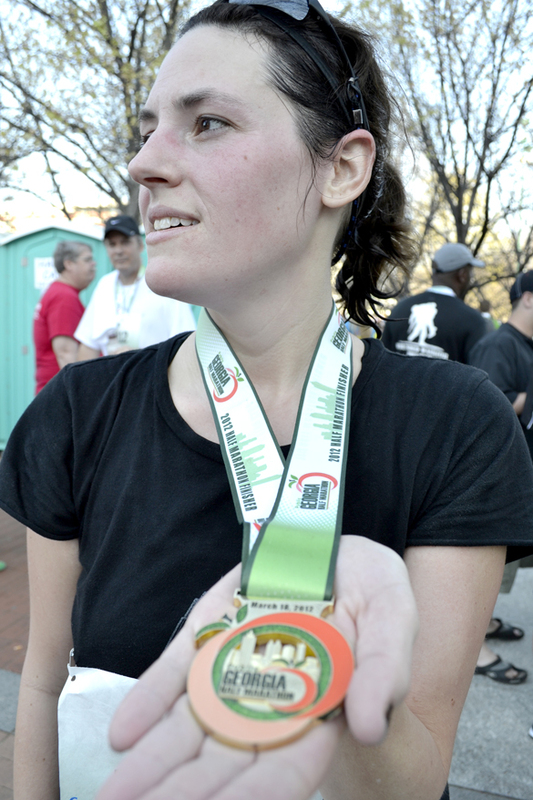 Overall, I was very pleased, considering I didn’t run a single race last year and there were a crap-ton of big hills. HILLS! Furthermore, our hotel location could not have been ANY better. 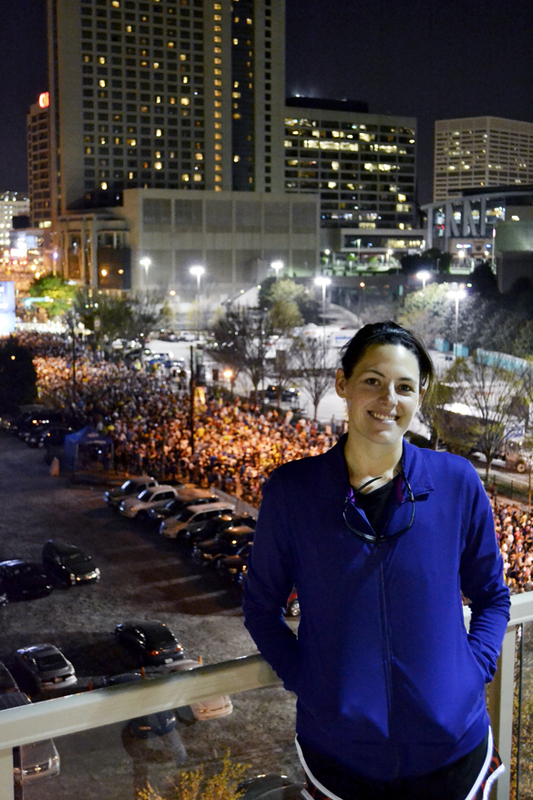 Not only was it situated three blocks from the start line, but the corrals lined up right in front of the building. In fact, my corral just so happened to be immediately outside the hotel’s front door. To make it exceedingly fantastic (and symbolic), I was assigned to Corral J. This photo was taken at 6:45 Sunday morning from our hotel room on the 12th floor. My corral began under the street light. Before lining up, we went down to the seventh floor to grab another photo. We had five minutes until the race officially began, but since I didn’t have far to go, it really didn’t matter. 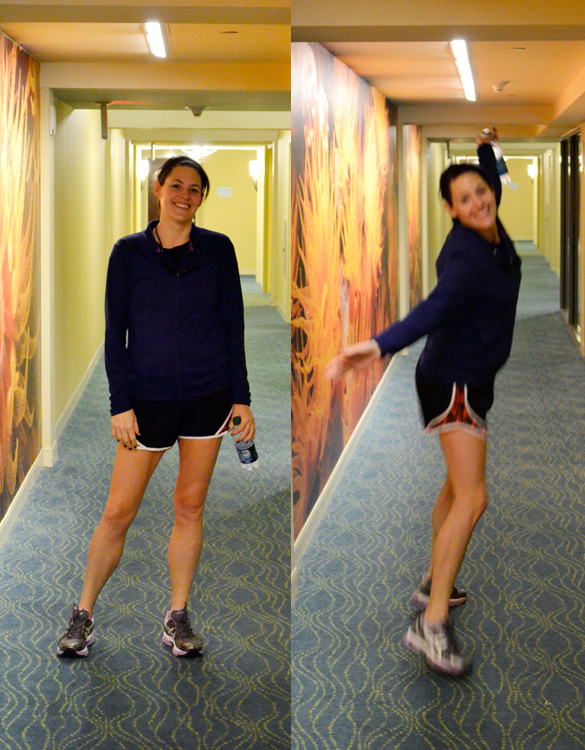 There was even time for silliness in the hallway so Chuck could familiarize himself with my camera. Thank you to Corey, Gwen and Alex for keeping the boys so Chuck could be my one-man support team! The sweaty finish line look.